In this area we will list clearance stock. 25mm Ballscrew 5mm pitch 1194mm long. 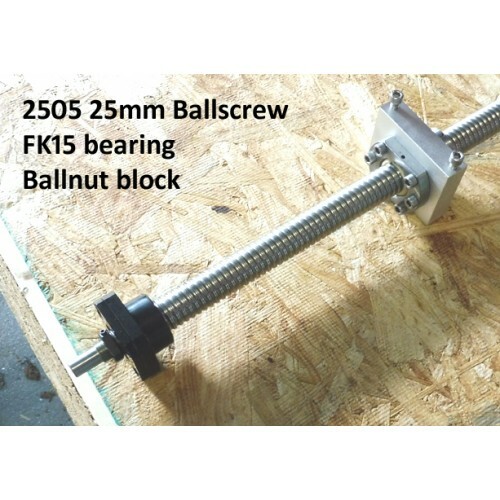 Left over from a project where this ballscrew was hardly used, so like new.Bearing set&nbs..